Britons are known for their style, demeanor, oftentimes copied accent and more recently—their musical style. With a debut album under his belt, British soul singer Sam Smith has proven that vocal ability and talent will truly get you far in the music industry if you work hard at it. 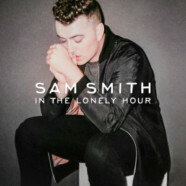 “In The Lonely Hour” is Smith’s current creation that has surfaced on the UK charts and steadily rising the charts in the US as well. The album’s lead single, “Stay With Me” originally caught my attention when I heard it being played on a Soul and R&B radio station. As an outsider looking in, there is no doubt that Smith is singing from a past experience of a broken heart as every song on this album caters to his feelings of a lover who did him wrong. The London native sang his heart out on “Lay Me Down,” where he displays his feelings of needing just one more ‘sexcapade’ before his lover officially says goodbye. “Good Thing” isn’t a bashing song but it’s more of a realization song where the singer comes to grips and realizes that his lover never really loved him from the start and it wasn’t such a good thing after all. If you are interested in his vocal range, “Latch” is the song that will cover that topic for you as he sings over an acoustic guitar and you can truly feel his soulful vibe as he carries on the topic of truly wanting to hold on to a lover. One of my favorite song’s on the album is “Life Support.” The song opens with these lyrics, “I’ve been sleeping with the lights on, cause the darkness is surrounding you and you’re the drug that gets me through. I built this bed for me and you.” The somber lyrics then lead to an even somber instrumental and further allow you to dive in what Smith is really trying to say about being on life support. By the end of the song, it all makes sense—his lover put him on life support and he doesn’t know how to get off. The album’s only up tempo song, “Restart” gives you a refreshing look on love. As the lyrics imply, sometimes if it doesn’t work out you can restart and move on to the next one. “In The Lonely Hour” takes a very odd turn with the album’s leading track, “Money on My Mind.” This song is an odd comparison and actually makes no sense for the album’s overall theme of sad love songs. Interestingly enough, this song makes you feel that you’re in a club for a quick second. One thing is for sure and that is 22-year-old Sam Smith has potential to take the British soul music scene to another level. We’ve already had the chance to experience what Adele had to offer and I was beyond impressed with her and I will admit—Britain has some talent! If you are not into listening to an album full of sad love songs from a broken heart, this album is not for you. Obviously this won’t be your go to album when you’re ready to get turnt up but it is a go to album when you are in deep thought mode and hope to God that someone else is just as miserable as you are feeling at that moment.